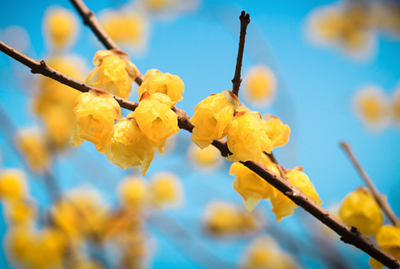 Wintersweet has beautiful, sweetly scented, yellow flowers throughout the winter months. Ideal for a sunny, well-drained mixed or winter border, make sure you place it somewhere its scent will be appreciated. They also make for a pretty and sweet smelling indoor display. Customers who select a Chimonanthus should enter the code wintersweet at the checkout and the £5 discount will apply.